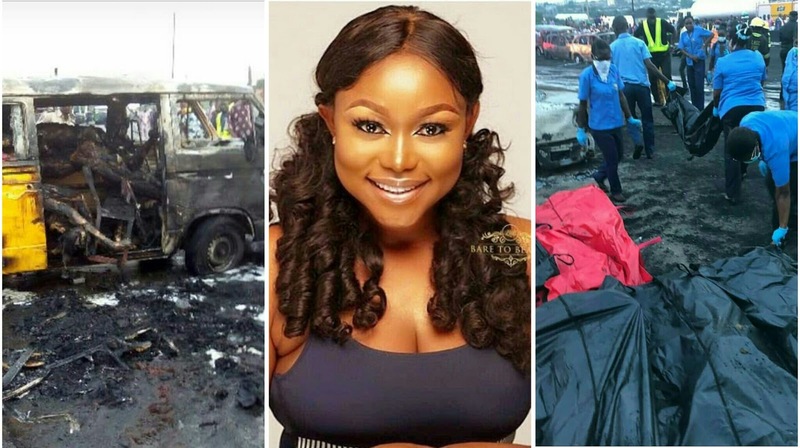 Curvy pretty Nollywood actress, Ruth Kadiri, has taken to her Instagram page to react to the Lagos tanker explosion on Otedola bridge yesterday evening. 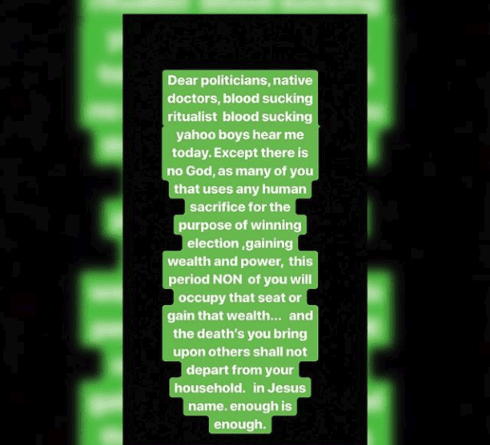 She rained curses on politicians and yahoo boys because in her opinion, the recent tragedies taking place in Nigeria are spiritual and she suspects them due to the fact that politicians and yahoo boys use human sacrifice to win elections and for wealthy gains. She insinuated that the series of unfortunate incidences should be blamed on the politicians who are preparing for the 2019 presidential elections.